How the Russian gas industry is responding to the shale revolution, global environmental issues and the development of gas fields in the Arctic. The shale revolution, the liberalization of liquefied natural gas (LNG) energy resources and environmental problems in the Arctic – all represent significant challenges and risks for the Russian gas industry. At the same time, they create new opportunities. For example, Gazprom, the largest gas company in Russia that has historically enjoyed monopoly-like status, is now reviewing its strategy in the face of shrinking natural gas production. How is the Russian gas industry preparing for the new challenges and adapting to them? In this exclusive interview with Russia Direct, Peter Kaznacheev, associate professor at the Russian Presidential Academy of National Economy and Public Administration, shares his insights. Russia Direct: How do you see the possible development of the Russian gas industry, against the background of such large-scale events as the liberalization of LNG exports? Peter Kaznacheev: The liberalization of exports is, in my opinion, the imperative of our time. Continuation of the current system will only aggravate the problems of the gas industry. However, I would caution against getting overexcited. Many commentators have portrayed everything in the following way – as soon as exports are opened up to other manufacturers, Russia will, immediately and forcefully, enter the global LNG market – and we will show them all! The reality is not so simple. The fact is that Russia is very late in the development of LNG. I would even look at the problem more broadly. What is the advantage of liquefied gas? First of all, it is its mobility and the ability to change the direction of exports, following changes in the market. Sometimes reading our media, one would think that LNG is almost some miraculous new fuel! No, it is not; it is the same gas as always, which, thanks to technical progress, has gained the ability to travel by sea. RD: Yet liquefied gas would allow Russia to solve certain problems? Which ones exactly? P.K. : The main problem that would be solved by liquefied natural gas, due to its mobility, is the ability to enter new markets – markets in which consumption is growing faster, and therefore, the price per cubic meter of gas is higher. It just so happened that Russian gas transportation infrastructure was designed to serve the European market. This reflects the long-term strategy of Gazprom, focused exclusively on the West. Moreover, this strategy remained the same, even when it became clear that the main engine of consumption is no longer in Europe. You may ask, why then was this strategy never adjusted? One of the main reasons, in my opinion, is that Gazprom is working more as a ministry, than a company. It works on solving different problems, including foreign policy issues. These often go against the commercial interests of the business. By the way, representatives of Gazprom, in informal conversations, complain about this situation. Such a system leads to serious long-term problems and distortions. This happened with LNG. With that, we hear much talk about Russian liquefied petroleum gas (LPG). Currently only one LNG plant operates in Russia – on Sakhalin Island. Annual LNG sales of the Sakhalin Energy Company are 10.6 million tons, less than 7 percent of total exports of Gazprom. This is less than Gazprom supplies to Italy. Now compare this with the world market, which traded 300 million tons. And this is just the beginning. According to the International Energy Agency, by 2035, world LNG trade will reach 1 billion tons. It turns out that while the world’s liquefied natural gas keeps gaining momentum, we are wasting time discussing what kind of pipelines we will be laying, who will build and where will we place liquefaction plants, who will sell gas abroad, etc. RD: So it turns out that the decisions that are being taken now will determine in what direction the gas industry of Russia will develop, and the place it will occupy on the world market? P.K. : Absolutely. I would still like to particularly emphasize that all will depend not only on the solutions, but also on the actual operations. This is due to the Russian reality. After all, there is often a huge gap between decisions and their fulfillment. This is happening with LNG. They have been talking about it for many years, and nothing has changed. Then there is another hot topic – the Arctic. Indeed, it is clear that the development of natural resources in the Arctic is the long-term future of the Russian fuel and energy sector, especially gas. However, what happens in reality? They have been talking about developing the Russian Arctic Shelf for more than 15 years, but without any significant practical results. After all, Russia is still not producing any oil or gas on the Arctic Shelf (with the exception of the Sakhalin Shelf, which, strictly speaking, is not part of the Arctic waters). In other countries, particularly in Norway, the U.S.A., and Canada, oil and gas started being produced a long time ago in the Arctic Shelf. The main reason for this delay is bureaucratic. Many years were spent trying to agree upon the rules for how companies would gain access to deposits on the shelf. As no law was ever passed, the issue remained on the back burner. 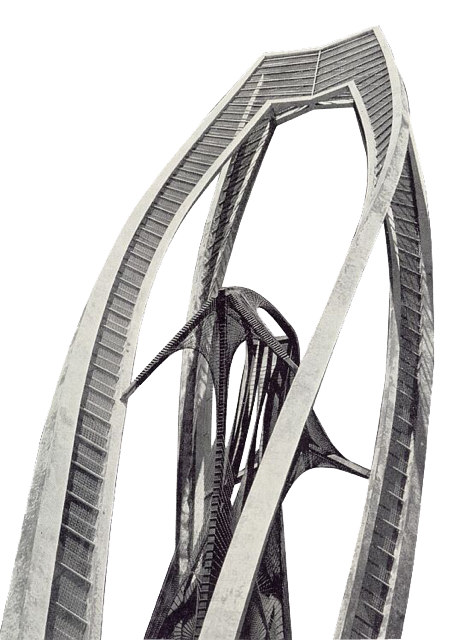 Then there was a jump in the cost of design work, and then the financial crisis. As a result, after long negotiations with foreign partners, Gazprom announced that it was freezing the Shtokman project, on which the highest hopes were pinned for maintaining production levels. It turns out that the production of Gazprom is declining: in 2012, it amounted to 487 billion cubic meters, which is 6.8 percent lower than one year earlier and 11 percent lower than in 2003 (according to Gazprom reports). And this during a global boom in gas consumption! RD: Maybe the whole problem is in the falling demand that has been observed in Europe? In the past five months, it seems, demand has increased slightly. Then perhaps production in Russia will also increase? P.K. : The decline in demand for Russian gas in Europe – it is part of the problem. However, this is not the root of the problem. The root, as always, goes deeper. The main reason, again, is the inability to enter new markets. It would be strange to expect that European consumers would remain faithful to Russian gas at the old prices, at a time when liquefied gas is literally breaking into Europe from many different countries. The dynamics of demand in Europe are not that predictable. Gazprom continues to give rosy forecasts. However, the Ministry of Energy has long been saying that the share of Russian gas in Europe will decline. This is not just a question of the overall demand in Europe. The question is: Who is going to meet this demand? Now there is intense competition in terms of price. Gazprom gas prices fell in the first half of this year by 8%, compared to last year. This is a serious problem. By the way, if Russia had routes to alternative markets, then its negotiating position in Europe would have been much stronger. Moreover, there is another paradoxical circumstance. Do you know what is now helping Russian gas in Europe? It is the European environmental lobby, which insisted on freezing the development of shale gas, thus greatly restraining the growth of domestic production in Europe. Why the Europeans agreed to do this – do not ask. I do not know the answer. It is difficult to understand. RD: Talking about the environment, what do you think about the objections of some environmental organizations against the development of the Arctic Shelf? Are the demands of Greenpeace justified? P.K. : The environmental aspect is, of course, very important. In my opinion, there are organizations that are dealing with real problems of the environment, working with companies and governments. For a while, it seemed that Greenpeace was starting to go in this direction. However, the organization’s latest moves cast serious doubts on this. Their demands lack any logical foundations. Have they achieved anything? Reduced greenhouse gas emissions, right? In the United States, without the Kyoto Protocol, these emissions have fallen, while in Europe, with its Kyoto commitments, they have not. Why? The answer is mainly due to the fact that in America, they began to consume more natural gas. After all, the combustion of natural gas emits 30% less carbon dioxide than oil and oil products. And the Arctic Shelf – this is basically just gas! International experts, including the largest firm engaged in oil and gas consulting, Wood Mackenzie, estimate the total gas potential of the Russian Arctic at 21% of the world’s natural gas resources. Therefore, Greenpeace should be rather pleased and hope that the development of the Russian shelf will lead to an increase in gas consumption, and thus, reduce greenhouse gas emissions in the world. Yet, this is not so – they are again unhappy. I think they got lost in the order of their own agenda, and consequently, for the general public to understand and take them seriously is becoming more difficult. RD: What do you think: Will there be real competition among Russian companies in the production and sale of gas, given the purchase of various gas assets by the traditional oil company Rosneft? P.K. : Diversification of production and sales liberalization, both within Russia and for export, could solve several problems. The main thing is, as we have already said, access to new markets through the development of deposits, construction of LNG plants, etc. However, not only that. There is more – for example, the reduction of gas flaring by oil companies – that can be done to solve environmental problems. After all, the main problem of burning is that companies cannot bypass Gazprom to sell gas, and neither are they able to negotiate a price with the gas giant. As to competition, I would be cautious here, because the competition will be mainly between Gazprom and Rosneft, two state-owned companies. Nevertheless, basically, I think that having some sort of competition is better than none. RD: Speaking of competition, you talked about the importance of entering new markets. Growing markets always lead to intensified competition, and this would include gas from the U.S.A. Will not Russia end up in the emerging markets, for example in Asia, where competition is even tougher than in Europe? P.K. : Competition is increasing in all markets, including those very familiar to us, such as the European market. This is part of the gas revolution produced by LNG, and later supplemented with shale gas. Yet the prospects for Russia in the global markets, as a whole, are better than ever. Gas production in other countries (including the U.S.A.) is growing in step with growth in its global consumption. Moreover, not only in absolute terms, but also relative ones. That is, the share of gas in the global energy mix is growing. 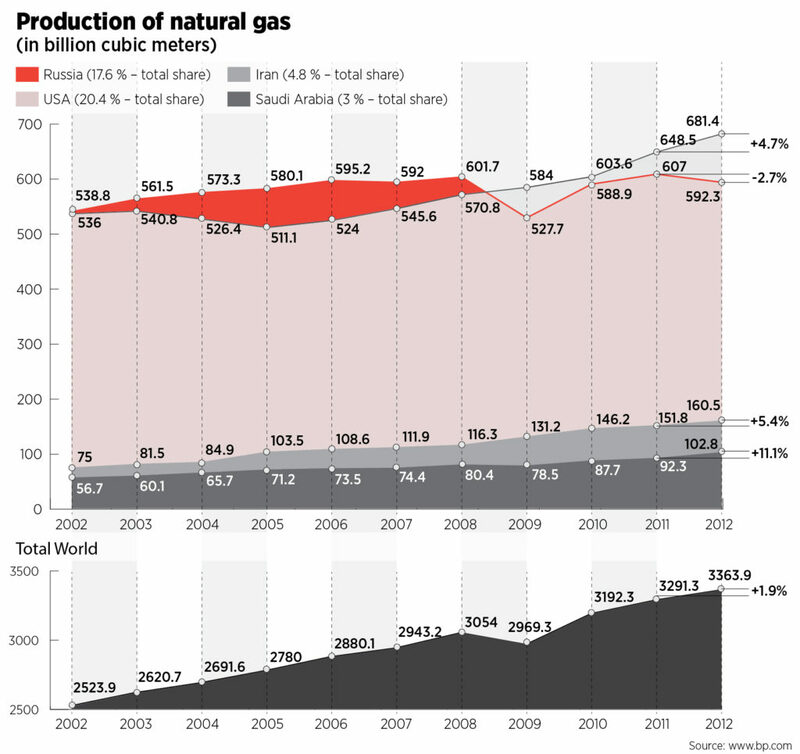 The International Energy Agency predicts that within twelve years, gas will cover one quarter of global energy demand. For Russia, with its 23 percent of world gas reserves, this, we can say, is just what the doctor ordered! The only question is (and this is a very serious question): Can we take advantage of this opportunity? I believe that, in principle, there is nothing impossible here. Look at Australia. It plans to triple the production of liquefied gas by 2020, reaching 80 million tons annually. Then there are the United States and Canada, where in the coming years they will build 20 LNG export terminals, with total capacity of 270 million tons annually! 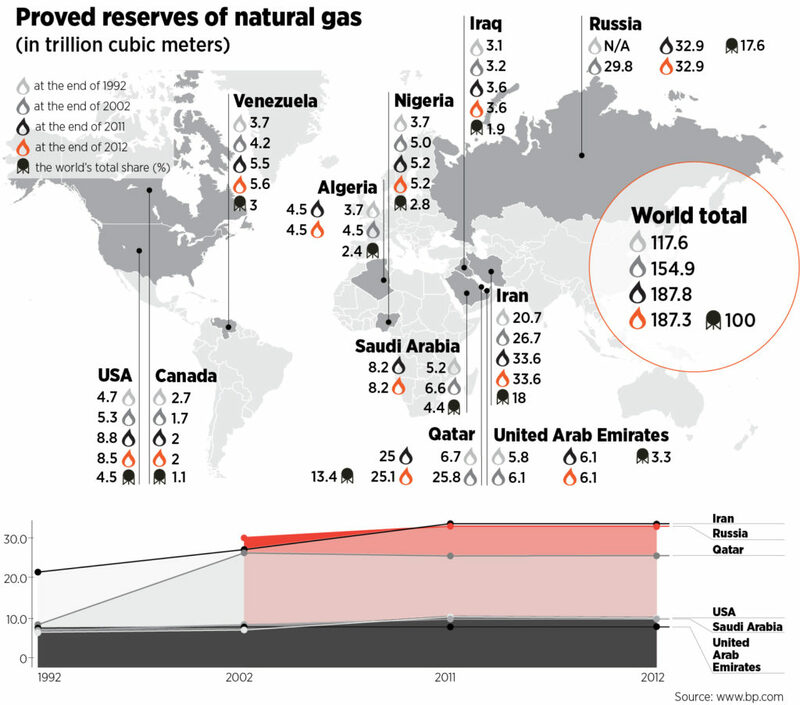 RD: And all these are countries, in which gas reserves are substantially lower than those in Russia. P.K. : Exactly! However, we must pay attention to another peculiarity here. They write a lot about the shale revolution, about the increase in the production of liquefied gas – but somehow one detail is overlooked. None of these countries has a “gas ministry” – not the U.S.A., not Canada and not Australia. In those countries, the state is not engaged in the production and sale of fuel. In my opinion, this is one reason to think deeply about the structure of the industry and what and where it is more efficient. We must learn from the past, analyze the present and look into the future. As for the competition, one simply cannot avoid it anywhere today. However, as they say, nothing ventured, nothing gained! It is time to expand into new markets and raise the efficiency of this sector. This is a question of the future of our natural gas industry and, to a large extent, also the future of the Russian economy.